- Color Changing Pinpoints of LED Light! 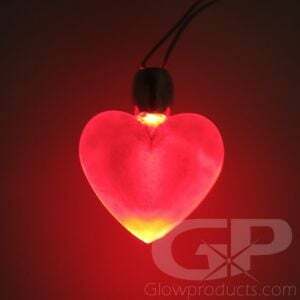 It's all about your ever changing heart with our Color Changing Heart Body Light! 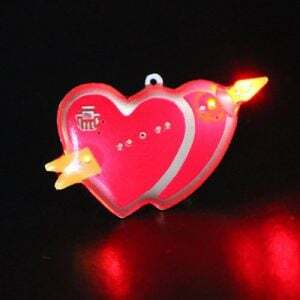 Pin points of LED light come alive to light up the Flashing Heart Pin, changing from green to blue to red, creating a fun mood-ring like effect. 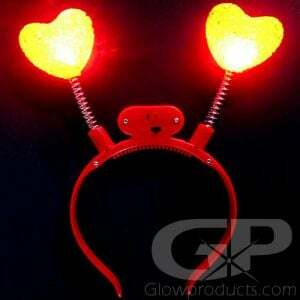 Our Color Changing Heart Flasher is very popular at dances, fairs, glow parties and more. 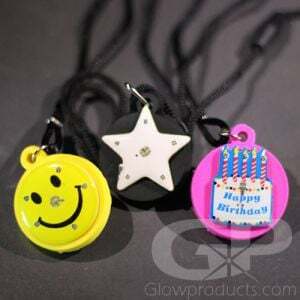 The Color Changing Rainbow Heart Body Light comes with a butterfly pin that you can use to pin it to any article of clothing, and the replaceable CR927 batteries are included. Instructions: Pull out the battery protector tab out and turn the color changing pin on, screw the rear cap down tightly until it makes contact. 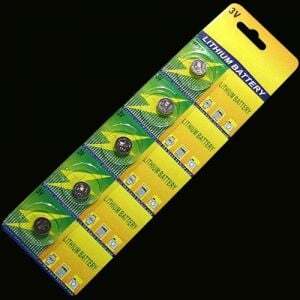 To turn the body light off, unscrew the cap. 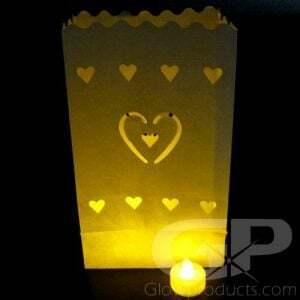 To wear the heart shape body light as a pin, attach it to your shirt using the attached butterfly pin.